Thanksgiving is next week, but all I can think about is CHRISTMAS!!! Christmas time is my favorite time of year. 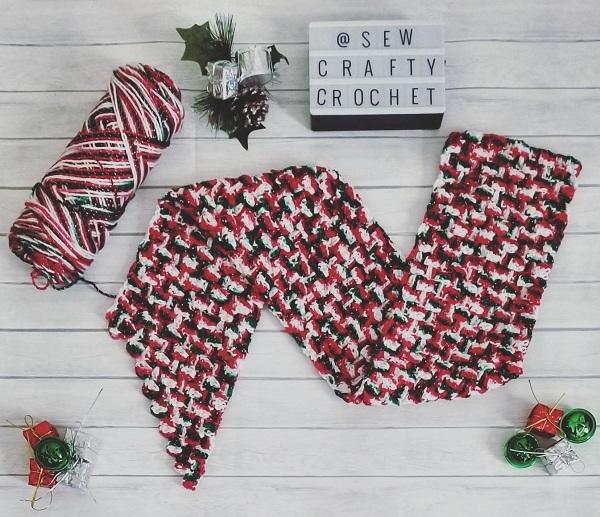 So I decided to make a Christmas scarf using my favorite stitch and one of my favorite brands of yarn. 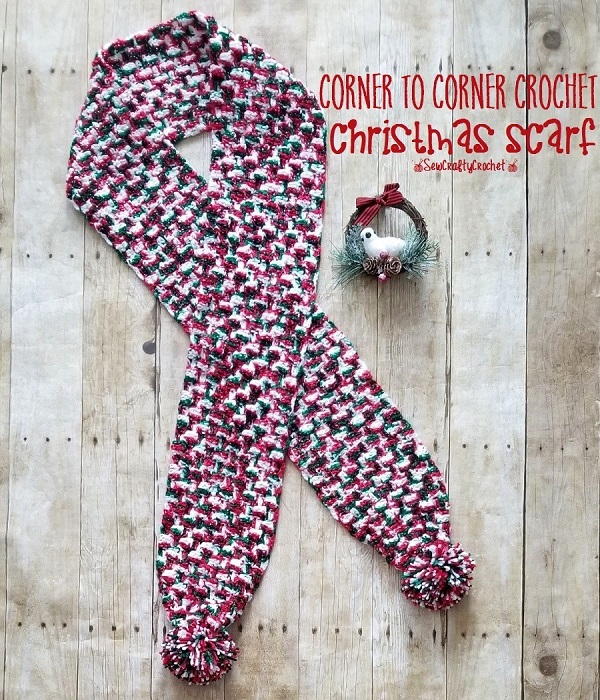 My favorite crochet stitch is the corner to corner crochet stitch, and there are several videos on You Tube to help you learn this stitch (that's how I learned it...) The yarn I used to create this festive scarf is I Love This Yarn in Christmas. 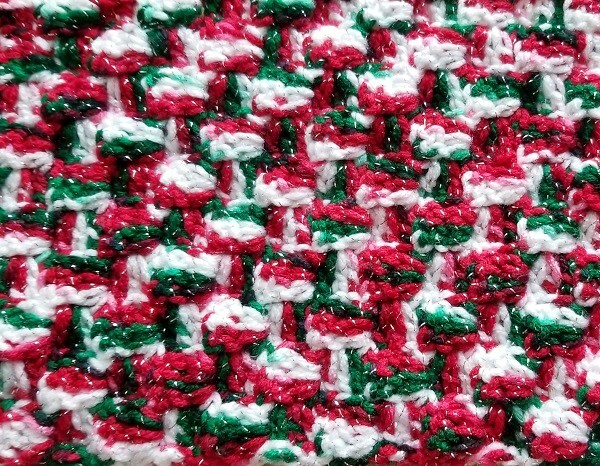 This yarn is red, green, and white with silver sparkles. 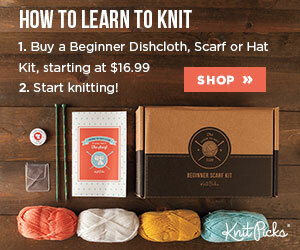 I Love This Yarn really lives up to its name because I love this yarn! It's really easy to work with and the colors are amazing! I made a special trip to Hobby Lobby to get this Christmasy yarn. 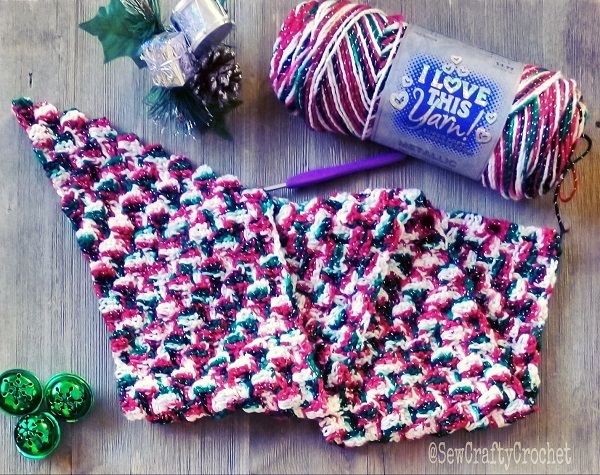 This yarn is so perfect for a Christmas scarf... or hat... or any other Christmas crochet/knit project. I made this scarf 7 inches wide, and I continued increasing until the scarf was about 75 inches long. Once the scarf was about 75 inches long, I made pom poms to add to the ends of the scarf. With the poms poms, the scarf is about 79 inches long. 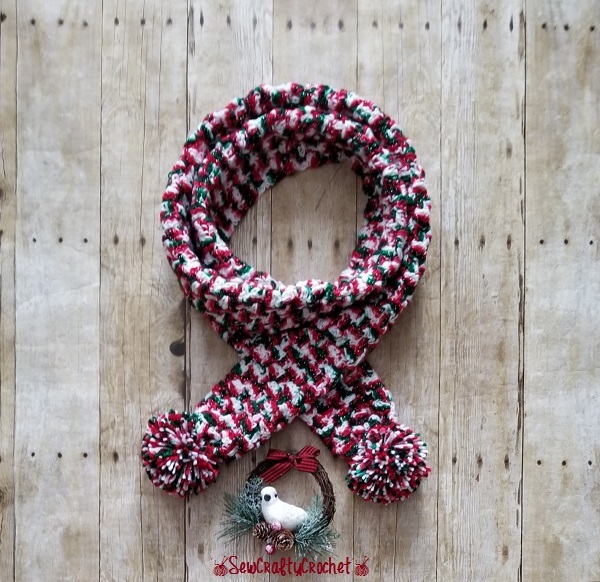 Thanks for checking out my Christmas scarf, which is available in my Etsy shop.😃 For more Christmas craft inspiration, check out the Happy Holidays Link Party! 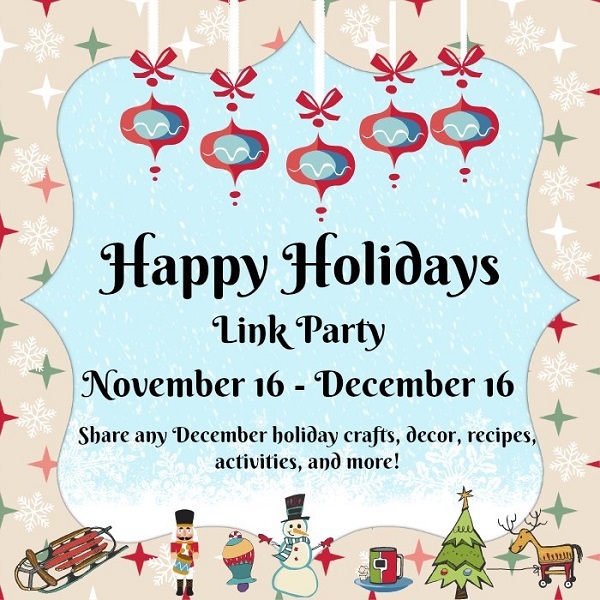 I'm cohosting the Happy Holidays Link Party with several of my blogging friends, so I hope you'll check out their amazing holiday posts, and link up several of your own!!! 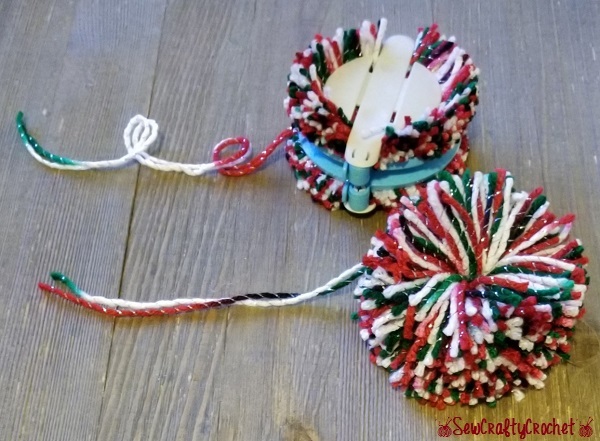 Pom poms are my favorite! It's required on all my winter hats. I love the colors and pattern. Thanks Jenny! 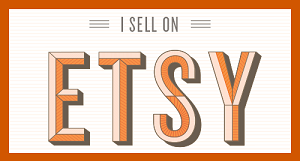 I love pom poms, too! Your Christmas scarf is lovely! 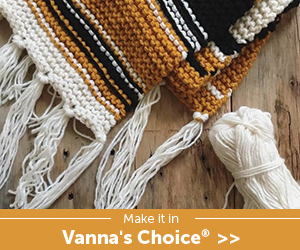 Your crochet projects are always so fun and impressive! Pinning and sharing. This is such a fun scarf. Love the pom poms at the ends. That looks so nice and warm and festive! Pinned. Thanks! It is very warm and perfect for cold Christmas weather! Thanks so much! I have learned to listen to my mom. She gives good advice. lol Thanks for pinning!!! What fun! 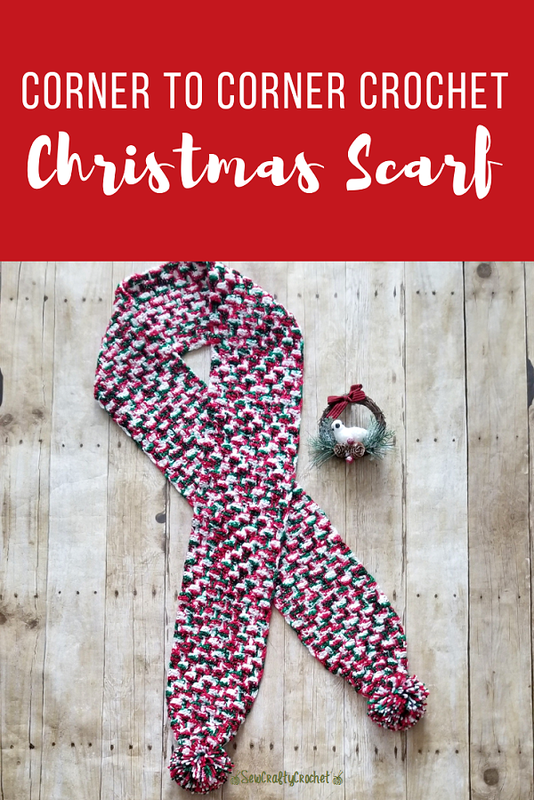 Love all things Christmas - this scarf is no exception! I have been working on straightening up the living room before I put my tree up, but I am ready to get it out here this week. So excited! 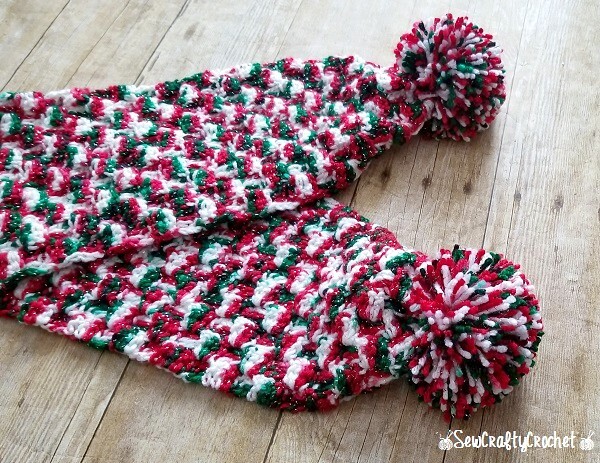 This looks so warm and cozy and especially cute with the pompoms! Thanks so much! It is very warm and cozy! 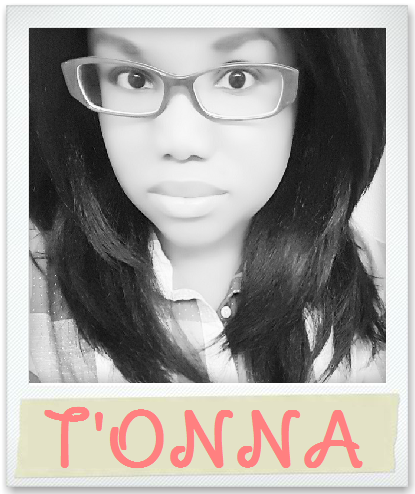 I need the weather here in GA to cool down some more so I can wear my fun scarves!